Have you ever attended a large or small event, intending to broaden your business horizons? A two-day marathon of fast-moving business began on Wednesday the 16th of January, with 14 speakers from the leading organizations and marketing agencies, all sharing tons of knowledge with everyone about how they could grow and scale their agency business and deliver better results for clients. 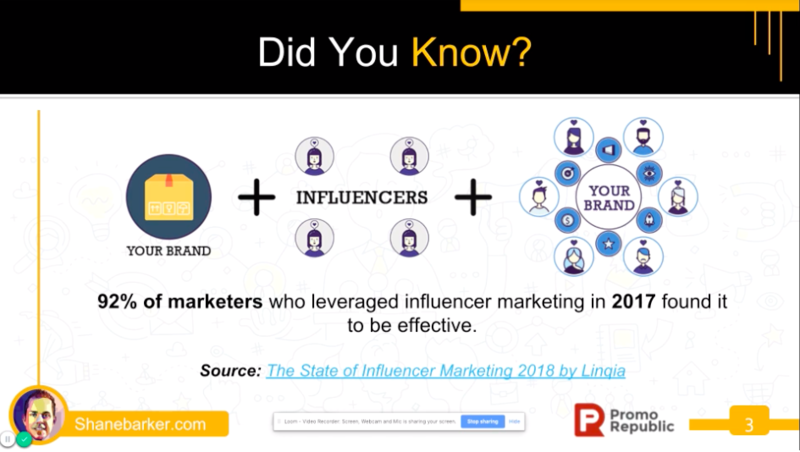 The reason the Agency Growth Summit was happening: PromoRepublic along with Dylan Hey. They spent plenty of time investing in positioning ourselves as a leader in the education of agency owners and freelancers; our combined efforts and ideas have evolved into the Agency Academy. We like to call it a global community and we want to help creative and smart minds who are reading and watching these sessions, just like you, grow their business by providing them with valuable content. It focused on showing exactly how you can leverage your personal brands to generate sales leads for your agency business, build a content plan, understand the anatomy of outreach emails and the principles of Facebook ads. People from companies like Ogilvy, Drip, Reply.io Rebrandly, And Co by Fiverr, PromoRepublic (of course), influencers and bloggers like Dennis Yu, Shane Barker, successful agency owner Kari from The Content Factory gathered together. They led something more than just dynamic discussions full of evaluative or promising words — they created an online source of insightful information which hardly ever could be found on the web. Your inner voice may say, “Why should I attend conferences if I can pull any knowledge I need from the Internet?”. Well, yes. You can. But we’ve done the job for you, you even have no need to search for relevant information and check out every detail. In turn, the conference, on the one hand, has a large concentration of professionals in your area who can suggest something worthwhile, and on the other hand, generally recognized gurus of this professional can attend field, who came to the conference with a report or a master class and that, as a rule, open for communication, and you can get an answer to your question on the highest professional qualifications. While visiting online summits you need bring nothing – only a laptop (or whatever device you like), Internet connection, and a little time to enjoy the summit sessions. Before you start your learning journey, get a short teaser, which is, actually, better to call ‘5 reasons for spending time on watching this or that’. Sharks need to keep swimming in order to live while agencies and freelancers have to keep working to attract new clients and keep ones who have been already interested in the services you provided them with. It’s difficult to imagine how much time, energy and efforts that all takes until you put yourself in their shoes. No wonder you have a feeling of empathy and trust for those people who have the same or similar experience. For that reason, PromoRepublic team invited speakers with marketing backgrounds in agency & freelance fields. They have all been there — staring at excel, numbers, hundreds of emails with questions from clients and investors, looking for a spark dreaming about finding out a few of smart decision to overcome difficulties and unforeseen circumstances. Each of them wanted to have their very own, ‘business-child’ to grow and succeed; each of them knew about the rocky, winding, torturous road towards the dream would be, and yet they didn’t go out of the way. Want more truth about building your own business? Then kick back and grab a seat in front of the monitor and make time for watching recordings the Agency and Freelancer Growth Summit. Take our word, you’ll find them useful. Doing better means paying attention to every part of your business, from the value you give to ways how you give. Which is why the speakers during the summit addressed the issues you can think of this year to take the world by storm. Some of the quotes you’ll find below they will fuel your desire to learn more. However, you have to know, it won’t be a retelling of each speaker’s speech. Because it’s much better to see and hear things for yourself, even when it goes online, especially bearing in mind the fact that discussion about marketing tends to become a never-ending story. For instance, your client has an online shop which should have more clients to enter and more items to be sold. Brandan Lorentz from Drip suggests that the quality of relationships you build with the customer may out-love even Amazon. Despite the promising sessions on your website, email is still the biggest lever to grow your clients’ business. But it will only work if you understand your customer in full colors and make your emails personalized, relevant (always valuable! ), and automated. In the past, it was enough to say something like “hey, there’s sale”, but for now showing carrying requires more details, so it’s better to say “Brandon, it’s a sale on small checkered shirts”. The ways to build transparent relationships with clients is reminiscent of attempts to impress someone who you like — first, you’re doing everything to learn more about the interests of this very special person, then you’re reaching this person with messages and emails, having a fear to lose them. Almost the same story is about your clients, with the only exception here, you don’t send love letters but targeted emails. While sharing something, Sean Connoly, Digital Marketing Executive, and Video Content Creator at Rebrandly believes that branded links not only create a consistent identity in every aspect of your online presence but also increase CTR on social. The thing is, the more people trust the link, the better click rate. Taking client from $400k to $1.6M in less than 1 year is possible and Shane Barker proved it from his personal experience. He views influencer marketing through the microscope thoroughly learning the nature of it. The numbers of 2018 proved the power Instagram has right now, Quinn Tempest notes that there are 500 million daily active users — they all engage with the brand (not just post selfies or food shots), the other number, which is no less bonkers, is that 400 million are using Story daily. 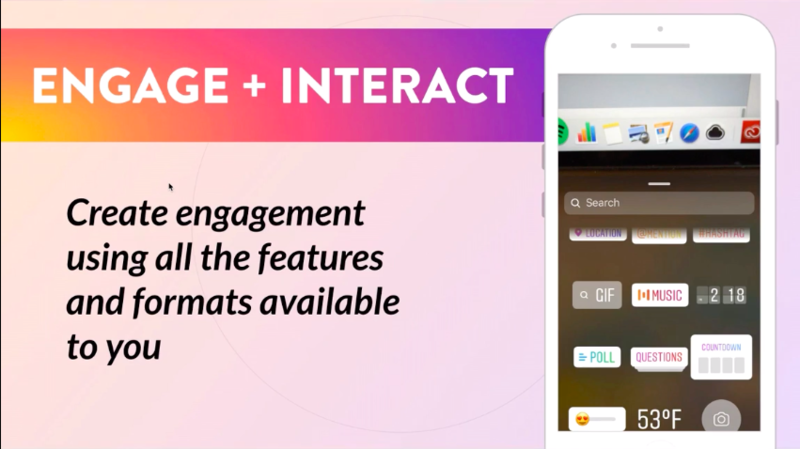 Therefore Quinn highly recommends testing them out since Story boosts engagements, and engagement is the currency of Instagram. It just so happens that analytics don’t come easy. This process makes a lot of heads spin because of a complex research step and an amount of time it takes. 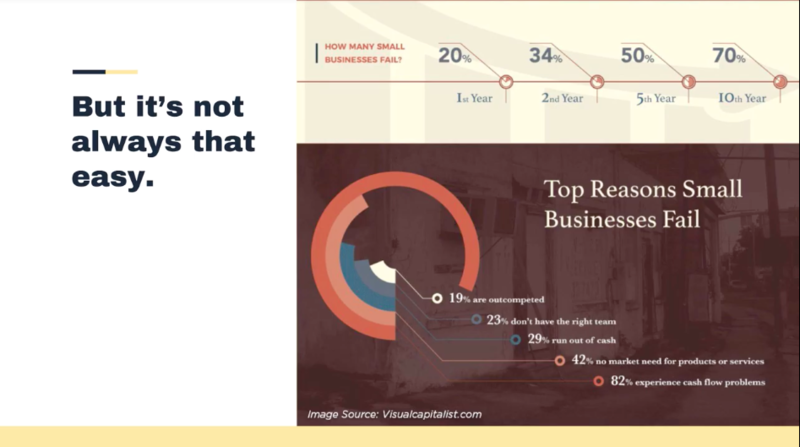 Josh Braaten, CEO of BrandishInsights, notes that half of the small businesses fail within 5 years. The first reason leading for them to fade into obscurity is cash or detecting the absence of the market need for products or services. The chain of reasons, for sure, is unlimited since many factors can influence the outcome of events. However, there’s one pattern which clearly illustrates the problem which is still ignored by a number of marketers. Despite the blurred rhetoric and obscure doubts surrounding the ad question, Facebook remains a good instrument for promotions of your clients. It all depends on your effort investment, investigation, and, for sure, creativity. This rule is developed by Gavin Bell, Facebook Advertising Consultant who answered the question of why a lot of agencies didn’t manage to see success while promoting their clients on Facebook — trying to sell something to people who just don’t care. Doesn’t know who you’re. Doesn’t like you. Doesn’t trust you. In this case, your ad is sticky, it evokes repulsion, not attraction. It should have been something obvious as 2 x 2, but most agencies and freelancers keep on making the same mistake. They keep on shouting “choose me, buy me.” Which is why it’s necessary to stop and think of the content that your client audience may trust. Words have power — they influence minds, SEO words have power too – they influence the position in Google search. With the help of thoroughly-worded texts Kari Dephillips, the owner of The Content Factor, made her website rank #1. 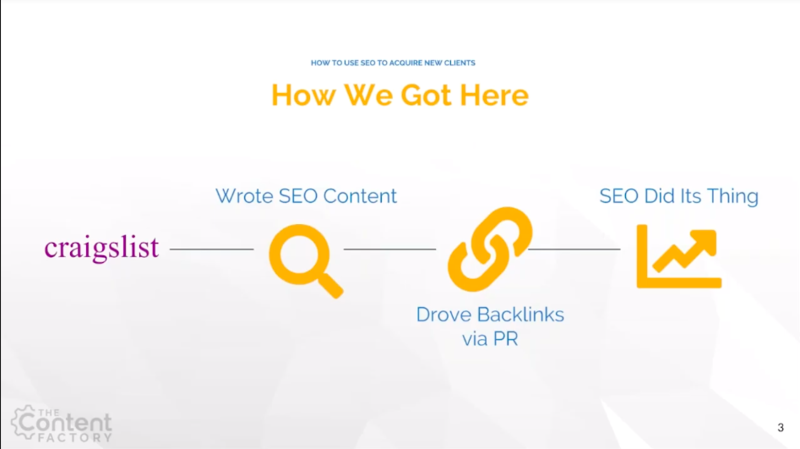 Yet everyone has heard about the benefits of getting traffic, no every one understands how organically it’s all possible to convert it into clients, sales, and email subscribers. Kari shares her personal strategy on how to ‘help’ more people to find your website. The Content Factory generates about $1,000 a year with retargeting organic traffic. All without a sales team. You can do it too. The successful practice of digitizing and open publication of library collections is being implemented around the world. Somewhere the initiative is promoted by individual activists or non-profit organizations, somewhere changes occur due to public interest. Those who know what to search for, get the material needed for upgrading skills. The only difficulty is time — people should read a huge amount of information, filter it all critically, and then come with an idea which should break the patterns usually coming to head. That’s what we wanted to build, a learning space where everyone who wishes to get lifetime access to materials shared by gurus who has been speaking at the event. Do you know that feeling, “why didn’t I think of that”? The human mind tends to come up with the ideas while listening needs, concerns, and thoughts of other people. When you can fully understand the thoughts and feeling they are trying to express, you broaden your horizons and see things from a different angle. If a dog doesn’t understand something, it tilts its head. In such a way they scan the information and emotional state. That what you should do too — try to look at the things upside down, from the other perspective. It’s becoming possible when you’re trying authentic listening. During the summit, Dylan Hey and Alla Bogdan were holding live sessions where people were asking questions of all sorts relating to their business. Having deeper diving in those discussions will help you clarify what is said rather than expressing your view and saying only what you want; the machine of critical analysis will start working getting you new food for thoughts. Many people find networking as hard as speaking at the public. The others just don’t want to bother others with small-talk style questions. It might be right as much as it might be wrong. Anyway, networking can be defined as establishing a business relationship with people who have the same or similar goals. The communication of such kind will teach you a lot more than you can imagine. Agency owners and freelancers, due to their way of work being, tend to take risks, leave comfort zones, experiment, fail, start it all over again, make and lose money, they’re in an unstoppable motion of business making. Who else but them, has got the real experience of triumphs and downfalls? Summit opens the door to the community where you’re getting a chance to be introduced to a future partner, employee or mentor. All these people create an environment which is crucial for your future success. The truth is, if you’re surrounded by constantly procrastinating people, with no goals but a bunch of excuses not to take action, you will be much likely to give up at the first time of getting one little bump.